Montana Rae Lewison, 19, of Belton, Missouri, joined the Lord in heaven on Tuesday, August 14, 2018 at the Mayo Clinic Hospital in Rochester, Minnesota. Montana was a Life-Source organ donor and her contribution saved five lives. Services will be Saturday, August 25, 2018 at 3:00 p.m. with visitation prior to service from 1:00 to 3:00 p.m. at the First Baptist Church in Peculiar, Missouri. Burial in Belton Cemetery. Montana was born August 12, 1999 in Kansas City, Missouri. She grew up in the Belton, Missouri area, attending Ray-Pec Schools and graduating from Belton High School in May of 2018. She was a Girl Scout, loved to play soccer throughout her life, and played on her high school soccer team until graduating. Montana was nominated to represent her peers in the Young Leaders of America in Washington, D.C. Montana’s future aspiration was to become a pediatric nurse. She was a humanitarian at heart with a true passion for caring for people and animals. With her radiant smile, infectious laugh, and purest of heart, Montana’s precious soul blessed the lives of many in her lifetime. Montana began work at the age of 16, having worked locally at Subway, Chipotle, Taco Bell, Jess & Jim’s Steak House, and her family’s business, Stewart’s Tree-Mend-Us Care. Montana enjoyed being herself, going to raves and festivals, hanging out with friends in her free time and she deeply cherished each and every memory she made with the people she loved. Montana never truly understood just how much she meant to every single one of us. She was so loved and meant the absolute world to so many people. She will forever be remembered. Montana was preceded in death by her grandfather, James W. Stewart, and cousin, Joseph J. Lewison. She is survived by her parents, ReVae Stewart Jepsen and Jamie Jepsen; sister, Sara Jepsen (Fiancé, Cory Hawkins) of Shawnee, KS; two brothers, Jesten Jepsen (Fiancé, Kayla Woodard) of Lee’s Summit and Robert Ellis of St. Joseph, MO; her cat, Meteor; grandparents, Eileen Stewart of Harrisonville, MO, Chuck and Shirley Hackenmiller of Osage, IA and Rick Lewison of Rose Creek, MN; her aunts, Tanya Keppley, Martina “Tina” Stewart, Kathy (Tom) Stukes, Mary (Jon) Lewison, Raquel (Shannon) Ostby and her uncles, Jimmie (Gloria) Stewart, Pat (Peggy) Stewart, and Brian Lewison; as well as many, many cousins, extended family and friends. Her Godfather was her uncle, Patrick Stewart, and Godmother was her aunt, Mary Lewison. (Arr-Atkinson Funeral Home, Harrisonville, MO, 816-380-3268, atkinsonfuneralhome.com). Lee August Erickson 45 died peacefully March 25 at his home in Lawerence Kansas. He was born in Kansas city to Boyd and May Erickson. He attended Peculiar schools, graduating from Raymore-Peculiar high school in 1990. An acomplished outdoorsman, he achieved Eagle Scout and was a graduate of Northwest Missouri State college. He was proceeded in death by father Boyd Erickson, Mother May Owen Erickson. Survivors include former wife Lori Erickson, sons Adison and Sage of Victor Idaho, brother Ty Erickson, sister in law Joanna Erickson, Niece Rachel Nephew Tom of Peculiar MO, numerous relatives, and friends. Memorial services will be with family at a later date. 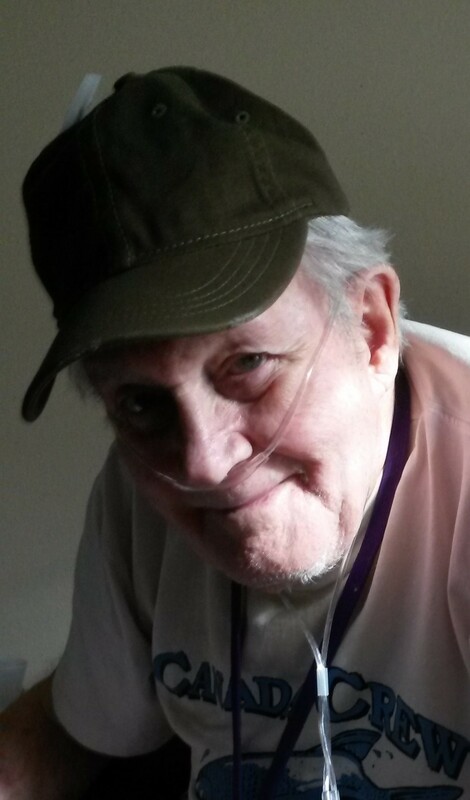 Bill McIntyre died Sunday, Nov 22, 2015 at Kansas City Hospice House. Services will be held 2 PM Saturday, Nov. 28, 2015 at Cullen Funeral Home with visitation 1- 2 PM. Inurnment will be at Wills Cemetery in Peculiar, MO following service. Bill was born February 25, 1935 in Matherville, Illinois, the son of Clair James and Estella Daugherty McIntyre. Bill was preceded in death by his parents; two brothers, Leslie and Roger Schaaf; and his beloved daughter, Tina Kriedeman. Bill is survived by his loving wife, Margaret of 61 years; sister, Phyllis Johnson of Williamsburg, VA; 3 grandchildren, Kyle Gunderson (Jennifer) of Pleasant Hill, MO, Mary Cloe (Jon) of Independence, MO, Kurtis Kriedeman of Kansas City , KS, two cherished great grandchildren, Anderson and Annabelle Cloe; and many, many friends. In 1961, Bill and his family moved from Rock Island, Illinois to southern California. Bill worked for Coca Cola Foods Division selling institutional coffee and foods to restaurants, hospitals, schools, etc. The family lived in Canoga Park, California, until 1980 when they moved into to the home they had built in Georgetown, California. 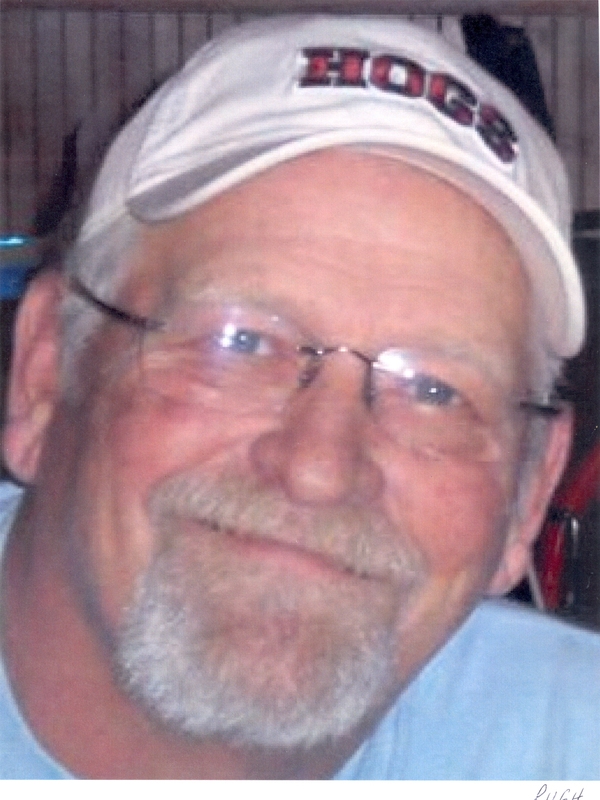 Bill was active in Georgetown Community United Methodist Church and is currently a member of Peculiar United Methodist. In late 1997 Bill and Margaret moved to Peculiar, Missouri to be near their daughter and grandchildren. Bill loved playing Pinochle, visiting with friends, talking about his 1955 Chevrolet pickup truck, and before his illness, helping anyone who needed him. In lieu of flowers, please send a donation to Wayside Waifs 3901 Martha Truman Rd, Kansas City, MO 64137. Dolores “Lola” Barrios, 88, Peculiar, Missouri, died Thursday, July 30, 2015, surrounded by family, at St. Joseph Medical Center in Kansas City, Missouri. Services will be held at 11:00 a.m. Tuesday, August 4, 2015 at St. Sabina Catholic Church, 700 Trevis, Belton, MO 64012, with visitation from 10:00-11:00 a.m. at the church. Burial will be held in Peculiar Cemetery, Peculiar, Missouri. Visitation will also be held from 6:00-8:00 p.m. Monday, August 3 with Rosary at 6:00 p.m. at the Atkinson Funeral Home in Harrisonville, Missouri. Memorial contributions may be made to the church. Lola was born March 19, 1927 in Linares, Spain, the daughter of Jose and Ana (Martinez) Murcia. At a very early age, her family moved to Madrid, Spain. She married her husband, George Barrios, in Madrid, on October 10, 1953. Lola was preceded in death by her parents, a brother, Esteban, a sister, Isabel, and her daughter, Carmen Ann. She is survived by her husband, George, of the home; one daughter, Isabel Schockey and son-in-law, Frank, Bella Vista, Arkansas; one son, George Steven Barrios, Kansas City, Missouri; 4 grandchildren, Kyle Campbell, Joseph Barrios, Frank Schockey, and Ana Barrios; 1 great-grandson, Tommy Campbell; brothers-in-law, Joseph Barrios and Joseph Madrazo; nephews, Juan Cabrerizo, Anthony Barrios, Manual Barrios, and Daniel Barrios, and nieces, Anna Wolf and Alicia Madrazo. Her family always came first. Dr. Charles Gabriel Parsons, age 60, a former resident of Fort Scott, Kansas and more recently of Peculiar, Missouri, died late Monday, June 29, 2015, at the Kansas City Hospice House, in Kansas City, Missouri. He was born August 8, 1954, in Butler, Missouri, the son of Charles V. Parsons and Ethel Naomi Gragg Parsons. He graduated from Shawnee Mission West High School in 1972 and later from Johnson County Community College, Cleveland Chiropractic College and Logan Chiropractic College where he became a certified chiropractic sports physician. He married Brenda Page on July 24, 1976, at Ft. Scott. Charles put himself through chiropractic school by operating his own lawn and tree service. He operated his own chiropractic office in Fort Scott, and also served as the attending physician for the Fort Scott Community College Greyhound team for seven years. In 2008, he moved to Peculiar where he taught at Cleveland Chiropractic College for one year. He then operated his own chiropractic practice in Peculiar. He was an avid runner and ran the Boston Marathon twice. He also competed in triathlons, enjoyed gardening, and was a member of the Community Christian Church in Ft. Scott. Survivors include his wife Brenda, a son, Brett Parsons, and wife, Kimberly; a daughter, Carly Parsons, and a granddaughter, Ava Parsons, all of Peculiar. Also surviving are three sisters, Sheila Wolf and husband, Garen, Cincinnati, Ohio, Nancy Mozier and husband, John, Ash Grove, Missouri and Lisa Antrim and husband, Steve, Overland Park, Kansas; mother-in-law, Virginia Page, Peculiar, sister-in-law, Dean Parsons, of Belton, Missouri and several nieces and nephews. He was preceded in death by his parents, two sons, Anthony Parsons and Gabe Parsons; a brother, Stanley Parsons and his father-in-law, Rev. John I. Page. Charles’ brother-in-law, Rev. Jonathon Cresse, assisted by Pastor Brent Bland and Rev. Kevin Moyers will conduct funeral services at 2:00 P.M. Thursday, July 2, 2015, at the Community Christian Church. Burial will follow in the Evergreen Cemetery. The family will receive friends from 5:00 P.M. until 7:00 P.M. Wednesday at the Cheney Witt Chapel. Memorials are suggested to Haiti Missions and may be left in care of the Cheney Witt Chapel, 201 S. Main, P. O. Box 347, Fort Scott, Kansas 66701. Words of remembrance may be submitted to the online guest book at cheneywitt.com. 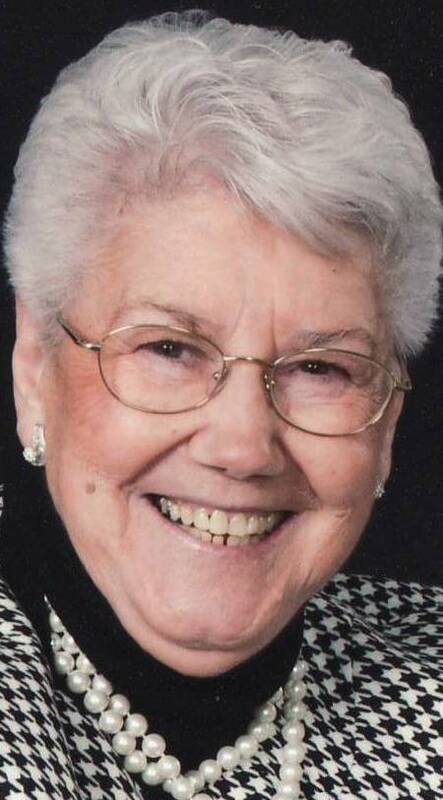 Jeanette Maxine Hammack, 83, of Peculiar, Missouri died Sunday, June 14, 2015 at Vitas Hospice in Kansas City, Missouri. Graveside services were held Wednesday, June 17, 2105 at Wills Cemetery in Peculiar, under the direction of Atkinson Funeral Home, Harrisonville, Missouri. Memorial contributions may be made to American Diabetes Association. Jeanette was born June 27, 1931 in Ames, Iowa, the daughter of Lloyd B. and Frances Vera (Cole) Grider. She was a lifelong resident of Peculiar, Missouri. Jeanette was a 1950 graduate of Peculiar High School and was valedictorian of her class. She married Howard Stanley “Stan” Hammack on February 17, 1951 in Peculiar. She had worked for the Federal Reserve Bank in Kansas City for ten years. She also helped run the Boys Ranch at Collins, Missouri where she taught horsemanship and helped cook the meals. Jeanette enjoyed sewing, crafting, gardening, ceramics, giving gifts to others, traveling with Stan in their motor home, and especially time spent at the Lake of the Ozarks. She was a member of the United Methodist Church in Peculiar. Jeanette was preceded in death by her husband, Stan in 1998, her brother Jack E. Grider in 2005 and her parents. She is survived by two sisters, Harriette Wills Rankin of Raymore, Missouri and Sherry Hockaday of Lake Winnebago, Missouri, and several nieces and nephews that she dearly loved. 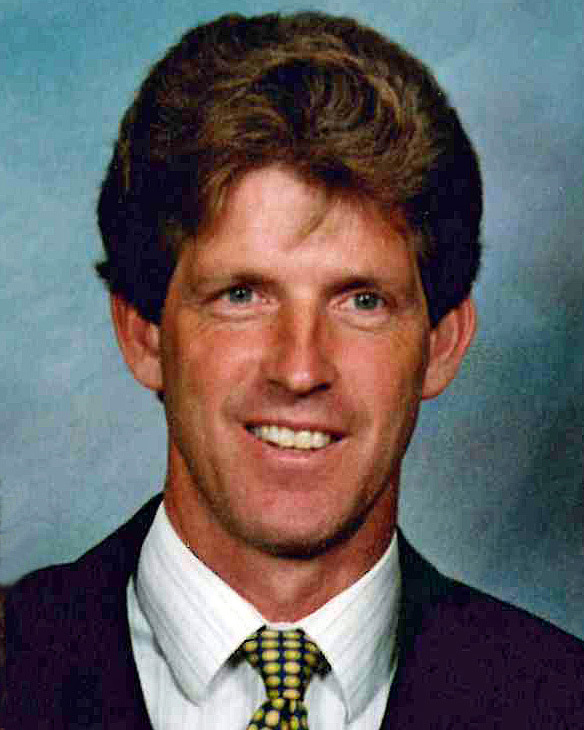 Thomas Alan Pugh, 67, of Peculiar, MO passed away April 2, 2015. Memorial Visitation 5-7:00 pm April 9 at McGilley & George Funeral Home, Belton MO. Contributions are suggested to Midwest Transplant Network, 1900 West 47th Place, Suite 400, Westwood, KS 66205. Evelyn Mae Clark, 77, Peculiar, Mo passed away Wednesday February 18, 2015 at the Raymore Rehabilitation Center. Friends may call from 2-3:00pm on Saturday, February 28th, at Cullen Funeral Home in Raymore with services immediately following at 3:00pm. Private burial will be in Terrace Park Cemetery. Evelyn was born in Parma, MO and lived in Missouri most of her life. She worked many years for both Western Electric and in civilian service for the United States Marines, before she retired. She was a member of the Air Force Sargent’s Association and the National Welfare of Animals Society. Evelyn married James Arnold Rolen and to this union was born a daughter. She later married William H. Berridge, who passed away in 1987, then Argel R. Clark, who passed away in 1996. Evelyn is survived by a daughter, Linda Perez of Melbourne, FL; sisters, Caroline DeCou of Layton, UT and Stella M. Star of Laurie, MO; step-daughter Connie Scapes, Tacoma, WA, and Argel A. “Tony” Clark of Kansas City, MO; three step-grandchildren, Terra Dawn Lynn Scapes, John Peter Scapes, III, and Dawn Lynn Clark, and two step-great-granddaughters, Madison Lynn Evans and Isabella Marie Scapes. J.D. Lancaster, 78, Peculiar, Missouri, passed away Thursday, February 12, 2015 at his home. Memorial services will be held at 2:00 p.m. Monday, February 16 at the New Hope Christian Church in Belton, Missouri with visitation from 1:00-2:00. Memorial contributions may be made to New Hope Christian Church Building Fund. Inurnment will be held at the Peculiar Cemetery at a later date. J.D. was born April 3, 1936 in Chetopa, Kansas, the son of William Oliver and Lula Candace (Holt) Lancaster. He married Janet Ilene Seymour on February 13, 1988 in Olathe, Kansas. He was a lifelong Cass County, Missouri resident. J. D. was a six-year veteran of the U. S. Army Reserve. He worked for Yellow Freight as a local driver for 30 years before retiring in 1998. He was a member of Teamsters Local #41 and a member of the Teamsters Retiree’s Club. J. D. was also a member of the New Hope Christian Church in Belton, Missouri and a 32 year AA member. J.D. was preceded in death by his parents. He is survived by his wife, Janet, of the home; one daughter, Kelly Harlan (Jeff), Peculiar, Missouri; stepsons, Scott Rowland (Linaya), Lee’s Summit, Missouri, Bryan Schooler, Princeton, Missouri and Stephen Schooler (Danielle), Mercer, Missouri; stepdaughters, Kim Rowland, Liberty, Missouri and Linda Hague(Dean), New Town, Missouri; one sister, Blanche North, Chetopa, Kansas; 13 grandchildren and 5 great-grandchildren. (Arrangements under the direction of Atkinson Funeral Home, Harrisonville, MO. Online condolences may be made to atkinsonfuneralhome.com). Linda G. Mix, 71, Peculiar, Missouri died Thursday, January 8, 2015 at her home in Peculiar. Funeral services were held Wednesday, January 14, 2015 at the Atkinson Funeral Home in Harrisonville, Missouri with burial in Sharon Cemetery in Drexel, Missouri. Memorial contributions may be made to PKD Foundation (Kidney), P.O. Box 871847, Kansas City, MO 64187-1847. Linda was born March 2, 1943 in Liberty, Clay County, Missouri, a daughter of Charles Adrian and Iva Catherine (Newell) Humphreys. 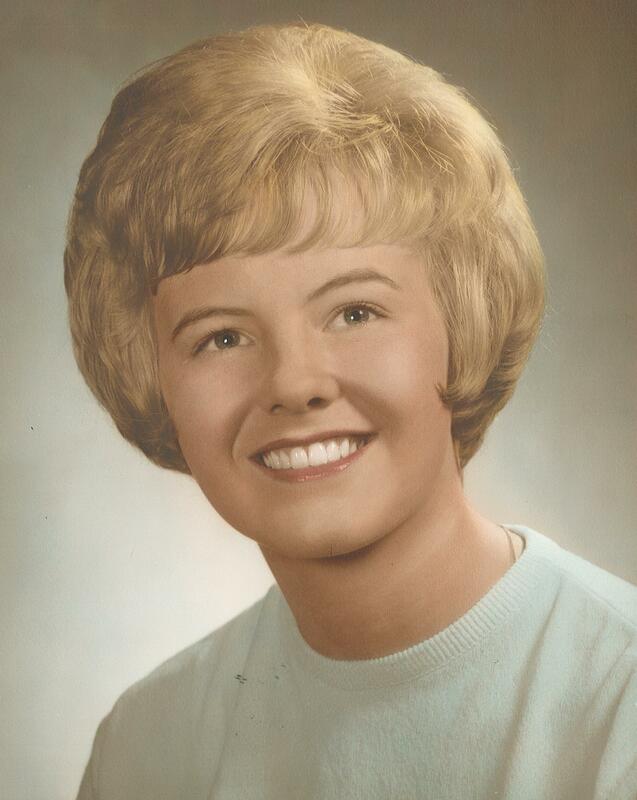 She grew up in the Lamar, Missouri area and was a 1961 graduate of Lamar High School. Linda was an insurance adjuster for Government Employees Health Association, (GEHA), before her retirement. She and her husband, Ed Mix Sr. traveled all around the country in their RV, visiting all the states but Florida. After the death of her husband, in 2002, Linda moved to Peculiar. She was a member of the Everett Community Church, Archie, Missouri. Linda was preceded in death by her, parents, husband, and a brother. 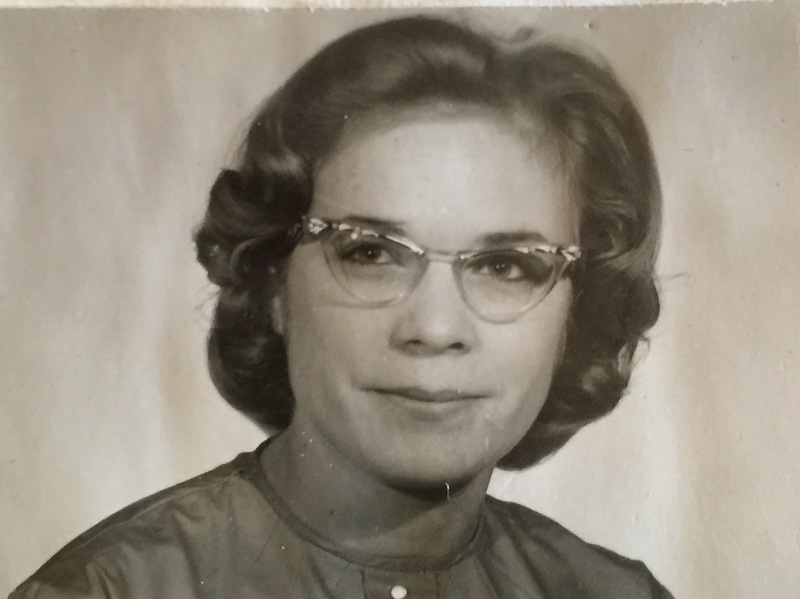 She is survived by three daughters, Becky Helmke, Wellsville, Kansas, Barbara Thompson, Lee’s Summit, Missouri, and Novella Nash, Palm Beach Gardens, Florida; two sisters, Arietta Mallory, Louisburg, Kansas, and Laurel Herbinger, Lamar, Missouri; 6 grandchildren; 6 great-grandchildren. Ronald T. Ware, 73, of Peculiar, MO passed away January 11, 2015. Funeral service will be held 1:00 PM Saturday, January 17, 2015 at Cullen F uneral Home Raymore, MO with visitation 11:00-1:00 PM. In lieu of flower, memorial contributions may be made to Uplift i/c St. Sabina Catholic Church 700 Trevis Belton, MO 64012. Ronald was born December 24, 1941 in Grundy, Iowa, the son of Louis and Helen Hess Ware. He is preceded in death by his parents. Ronald is survived by his wife Catherine Ware; three sons, Phillip R. Ware (Lynn), Steven T. Ware (Becky) and Anthony S. Ware (Amie); brother, Vincent G. Ware (Karen); three grandchildren, Nicole, Phillip and Grant; nieces, Leah Wiloz and Venessa Muilenburg and nephew, Jerrid Ware.